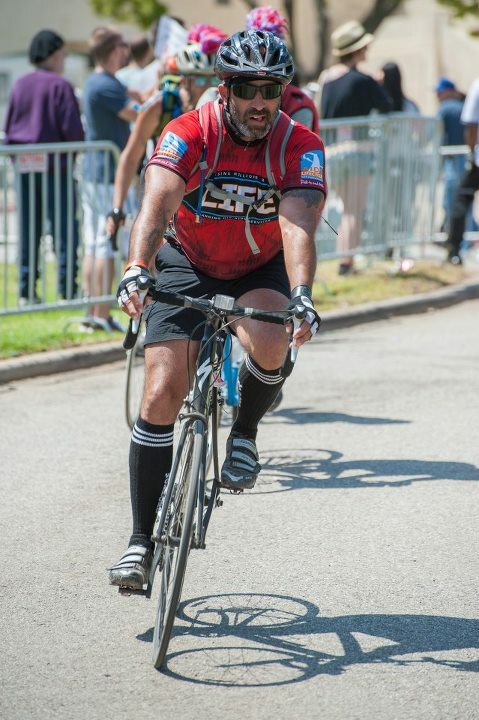 Congrats to our massage therapist Dave Haase for participating in AIDS Lifecycle 11 riding his bicycle 545 miles, along with 2300 riders from SF to LA. Team Wolford raised over $75,000 and the ride is now officially North America’s largest fundraiser, raising $12.6 Million dollars that goes towards direct services for people living with HIV/AIDS through the SF AIDS Foundation and the LA Gay & Lesbian Center. Through his practice Dave works with cycling related stress and injuries to keep cyclists on their bikes. He also offers unlimited 60 minute massages for $40 to all registered ALC riders, crew & staff. Last month Dave volunteered, providing chair massage through the SF School of Massage at the BLISS 2012- Maitri Silver Anniversary Gala at the W Hotel. The Gala commemorated 25 years of compassionate care for people living with AIDS.